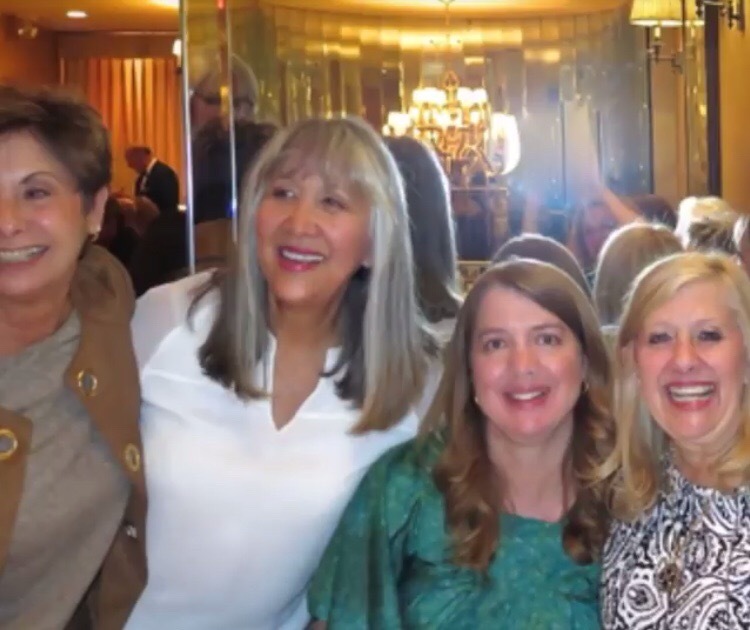 I would like to thank Susan Kicklighter, my Twitter friend and writer, for tagging me for this Sisterhood Blog Hop. 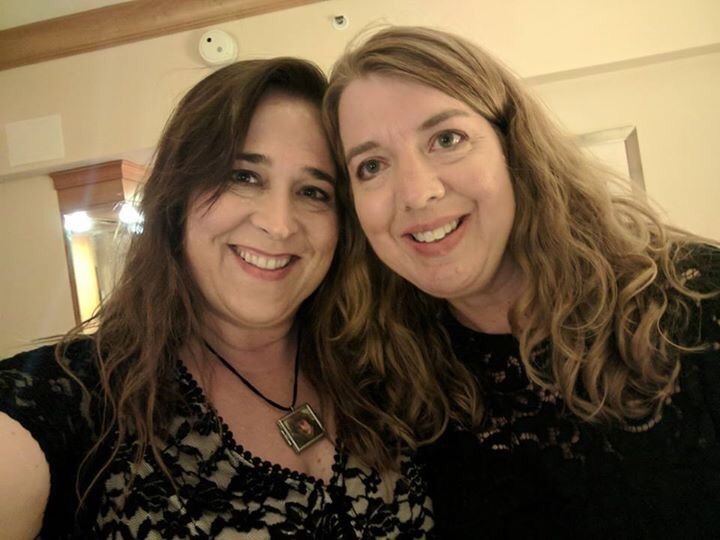 Check out Susan’s blog at http://www.writing4kix.tumblr.com, to find out more about her and the projects she’s working on. Follow her on Twitter @writing4kix. 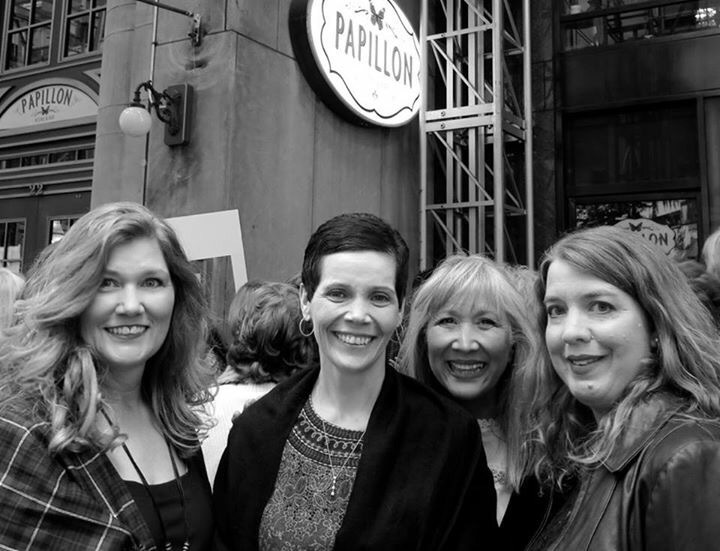 I am thrilled that Susan tagged me for this blog hop. I love to read, and I have been told I write a lot, and talk a lot. 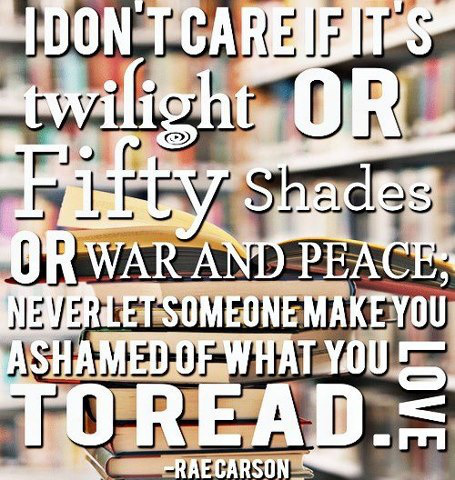 My friends sometimes say, “Don’t get her started about books; she’ll go on and on.” I pinned the picture below on Pinterest via Misty Star. 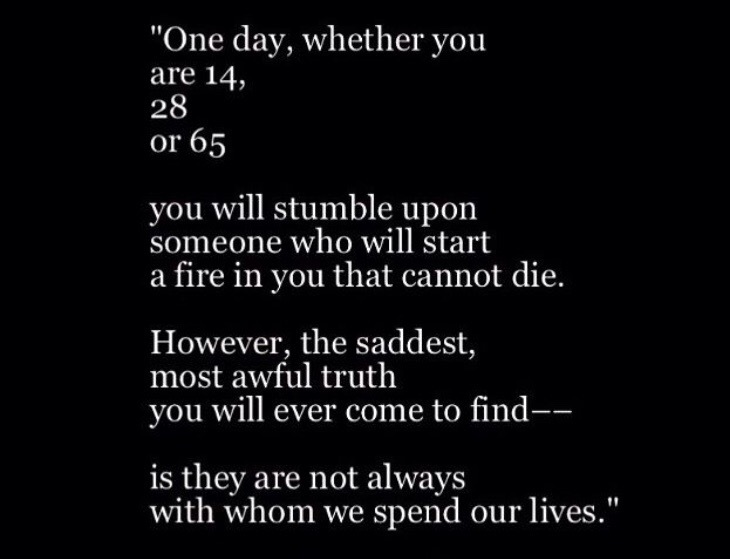 It can be found on http://www.eatsleepreadlove.wordpress.com.&nbsp; I have been waiting for the right blog to post it. Below are my answers to the questions Susan asked in her Sisterhood Blog Post. Enjoy! 1. What’s your least favorite book? Middlesex by Jeffrey Eugenides is my least favorite book. Callie discovers she is a hermaphrodite, and I felt that she was portrayed as a freak. 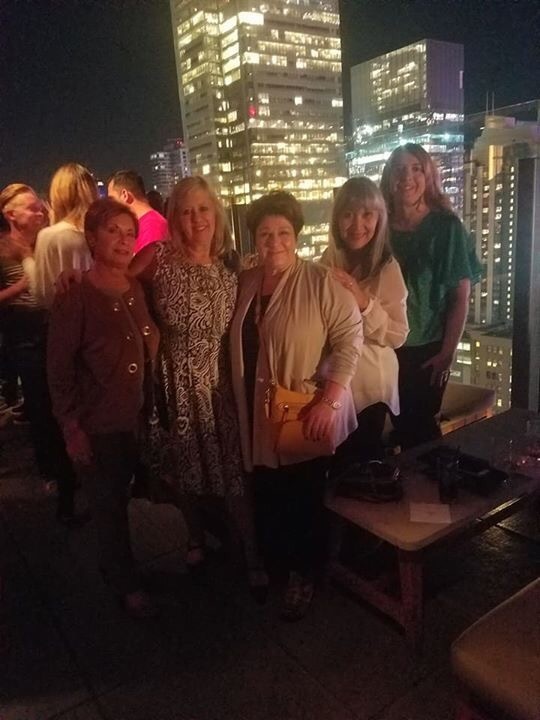 I wanted to know more of the history of her grandparents and the setting of the story as the author took us from the Ottoman Empire to Detroit and the Motor City. 2. What’s your favorite book from childhood? There are so many it is hard to choose. The ones that came to mind are Where the Red Fern Grows by Wilson Rawls, The Once and Future King by T.H. White, Charlie and the Chocolate Factory by Roald Dahl, The Secret Garden by Frances Hodgson Burnett, and The Crystal Cave by Mary Stewart. I read all four books in her Arthurian Saga. The story continues with The Hollow Hills, The Last Enchantment, and The Wicked Day. 3. What author(s) inspired you to become a writer? 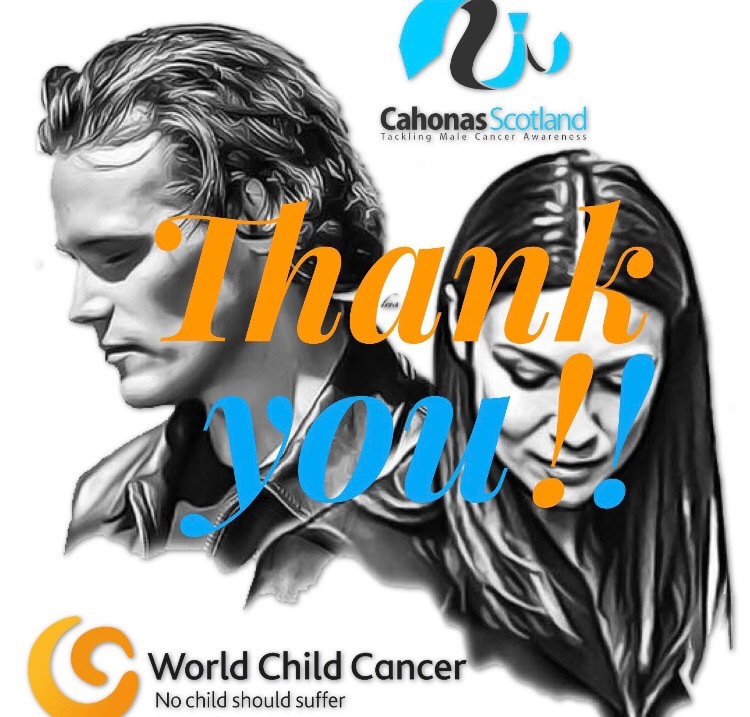 I would like to thank Diana Gabaldon and the writers of the television series Outlander. I started my blog because I was inspired by the Outlander book series and television series on Starz. Reading is second nature, but it never occurred to me before October to write anything. 4. How do you feel about eBooks? I read books on my Kindle and “traditional” hardback and paperback copies. I think I have read more books because of the eBook format than I would have if I were reading only hand-held copies. I could spend my whole paycheck on books. I have discovered new authors through the “Free Book” feature on Kindle. 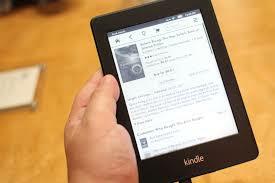 However, I would like to offer some tips I’ve learned along the way as my Kindle is now a constant companion. Pro Tip 1 – A Kindle Fire’s graphics are so much more detailed and prettier than the basic Kindle. My husband received a Kindle Fire for his birthday one year, and I was happy with my original black and white version. When I downloaded Accidentally Married…to a Vampire, by Mimi Jean Pamfiloff, I honestly couldn’t see the thumbnail version of the picture on the cover. My husband said, “What are you reading?” as he showed me a picture of a shirtless man who could be Fabio’s twin on his Kindle Fire. Oops! Pro Tip 2 – Do Not share a Kindle account with your husband. Between vampires and grey silk ties, I answered the question, “What are you reading?” frequently. Unfortunately, my husband’s device suffered an untimely death, not by my hands. 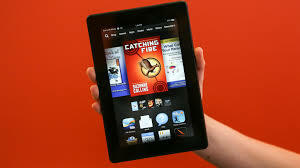 He chose not to replace his, and I am the proud owner of a Kindle Fire. 5. Are you a compulsive reader or do you take your time getting through the story? When I read, I read every word. I don’t usually skip ahead in the story. If I’m really interested, I increase my pace. I’ll reread if I think I missed something important. 6. Which book(s) have you reread the most? I started rereading Outlander to get ready for the beginning of season 1B which will air April 4th on Starz. I read the first three books in the series three years ago based on a friend’s recommendation. I’ll reread in order before moving on to the rest of the series. 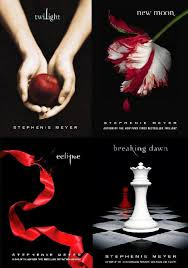 I’ve also reread all of the books in the Twilight series. 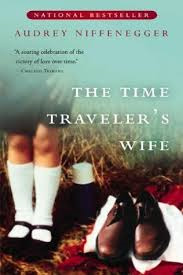 I really enjoyed The Time Traveler’s Wife by Audrey Niffenegger. I reread that book as soon as finished it the first time. 7. If you could live in any world depicted in a book, what would it be? 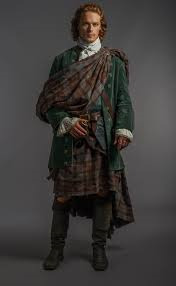 One choice would be 18th Century Scotland with Jamie Fraser. As evidenced by my response to question 2, I would also like to be transported to Camelot. 8. If you could kiss any book character, who would it be? Obviously, I would kiss Jamie Fraser. I must quote Diana Gabaldon from Outlander, “Where did you learn to kiss like that?” I said, a little breathless. He grinned and pulled me close again. “I said I was a virgin, not a monk,” he said, kissing me again. 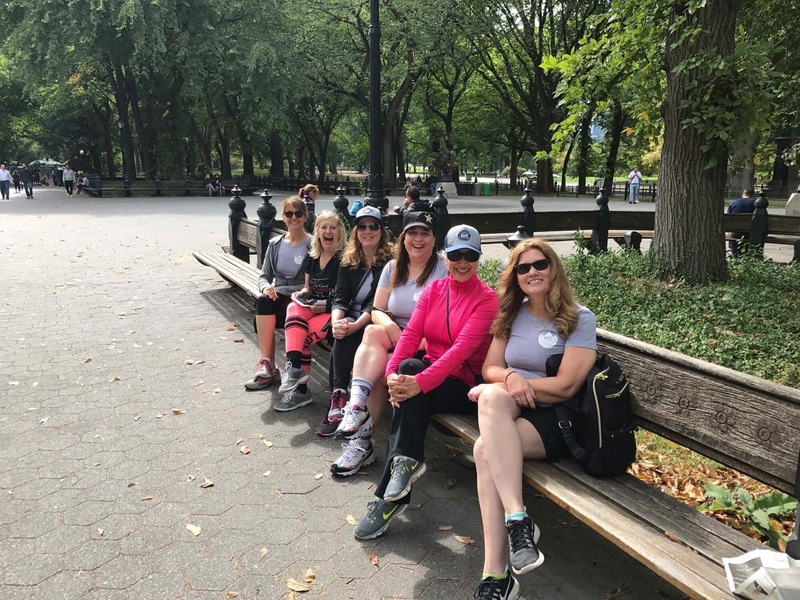 “If I find I need guidance, I’ll ask.” As Jamie is Claire’s, I am also intrigued by Eric Northman from Charlaine Harris’ Sookie Stackhouse series. 9. Do you communicate with your favorite authors on Twitter? I follow Diana Gabaldon, @Writer_DG, she is so witty. 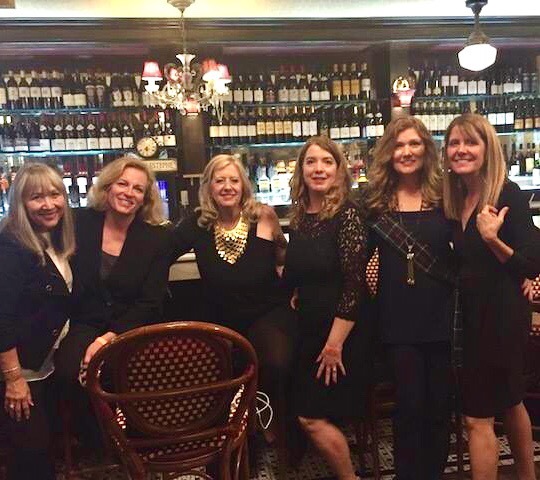 I would also recommend following Denise Grover Swank, @DeniseMSwank. I am a huge fan of her books, and was so surprised when she followed me back. I’m always looking for new books to read so I follow several authors on Twitter. 10. 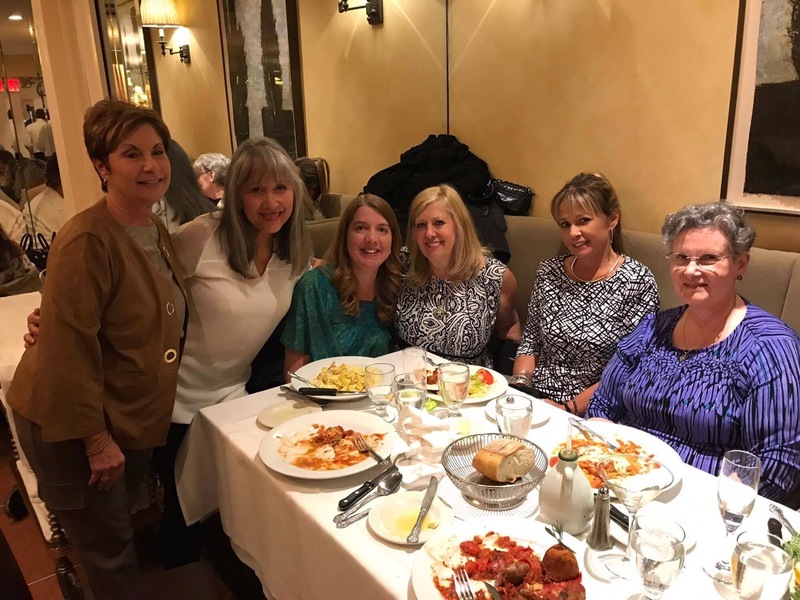 If you could have dinner with four literary characters, who would you choose? I would be thoroughly entertained at the dinner table if Jay Gatsby from The Great Gatsby by F. Scott Fitzgerald, Severus Snape from the Harry Potter series by J.K. Rowling, Skeeter from The Help by Kathryn Stockett, and Vivi Abbott Walker from The Divine Secrets of the Ya Ya Sisterhood by Rebecca Wells joined me for the evening. 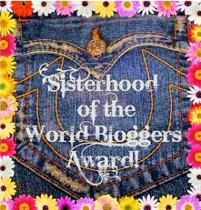 I know I am only supposed to nominate 10 bloggers, but I now nominate any sister bloggers to join me in this Sisterhood blog hop by answering the questions above on their blogs. I love talking about books, and getting recommendations for new books to read. I look forward to your responses! In the #Outlanderofferings clip, The Outlander cast plays “This or That?” from Outlander Starz, Tobias Menzies says, “American football versus our football?” in response to football or basketball. 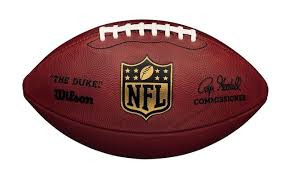 I have called the game with a brown and white oval ball American football in a previous blog. My son calls the sport that he plays with the big round black and white ball soccer. It makes me wonder how I should refer to the different sports. 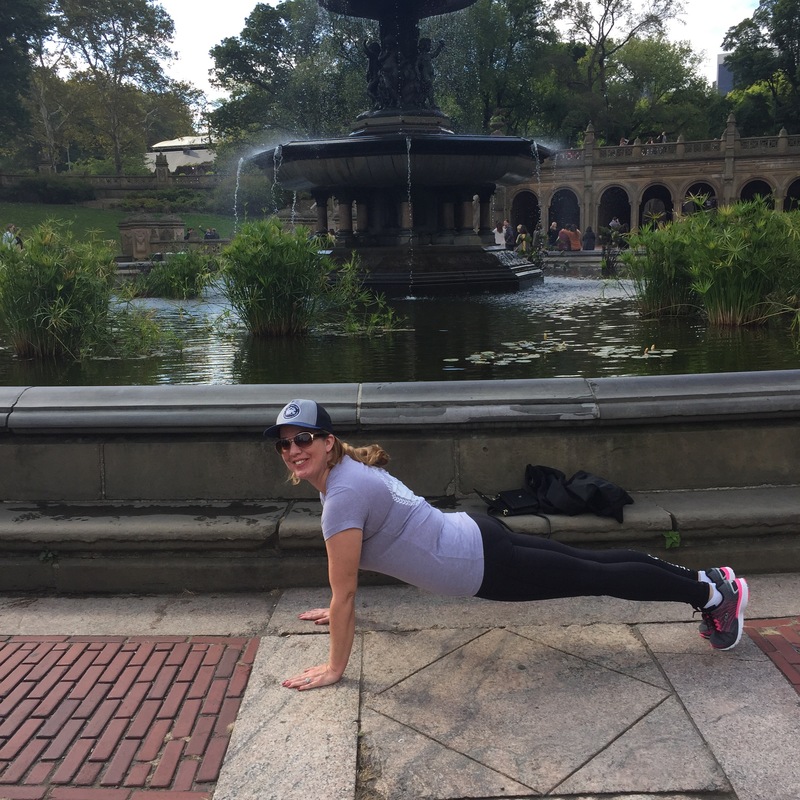 As a mother and part-time preschool teacher with a small amount of knowledge of PR, I multitask and integrate as much as possible. I found myself at the Riverside Arts Market representing the Southern Women’s Show in October with my son. (The Jacksonville 2015 show will be October 15th-18th. For more information, go to http://southernshows.com/wja.) I follow their Twitter account @SWSJacksonville for updates as well. 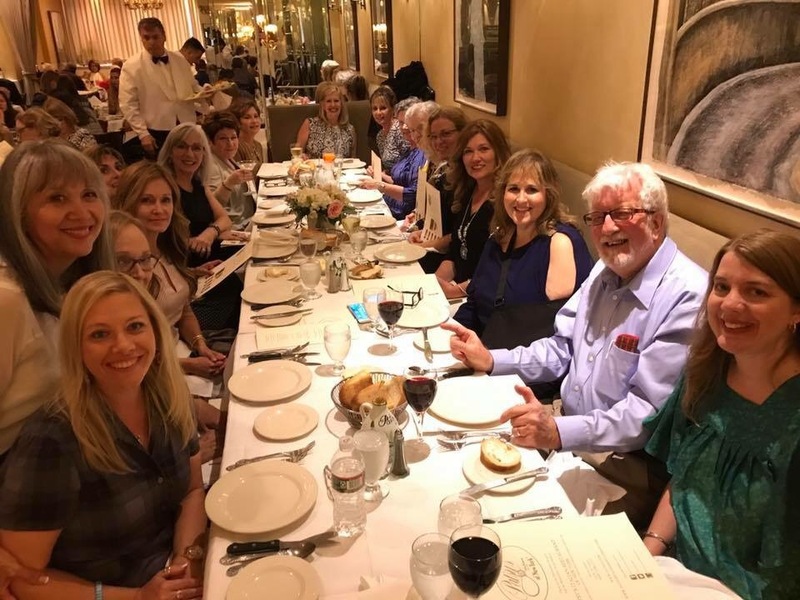 My son, who was wearing his Jacksonville Football Club jersey because we were going to his game directly following the market, happened to be standing next to me at the Southern Women’s Show table. A very nice couple approached the table, and I prepared to give them information about the show. The following conversation happened instead. Nice man: Do you play football? Nice Man: Good for you! I see your jersey. What does it stand for? Nice Man: (Showing us his hat) do you know about the Hull City Tigers? 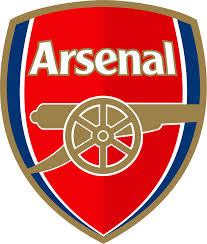 They are playing Arsenal this week. I’m sure you get a channel that will show the game, you should watch it. What position do you play? Nice Man: (This is where I discovered just how seriously people in the UK take football.) Keep playing…looking at me…it is so important that you support his playing. 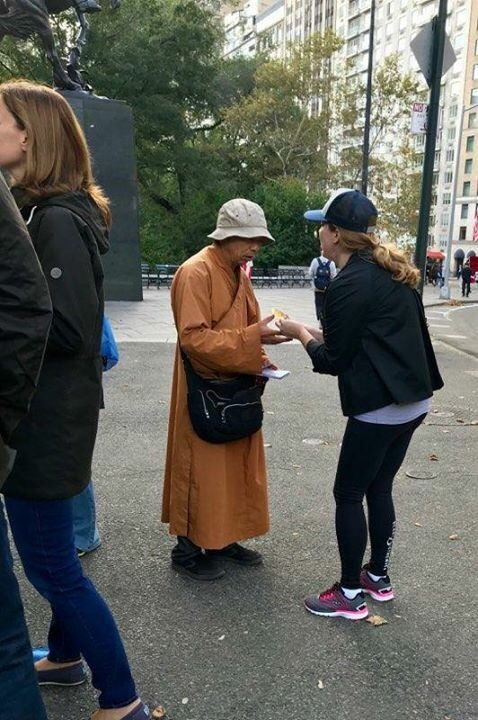 Before I realize what he is doing; he takes out his wallet, and pulls out cash to make a donation to the JFC. I thank him profusely, and explain that I can’t take his donation. 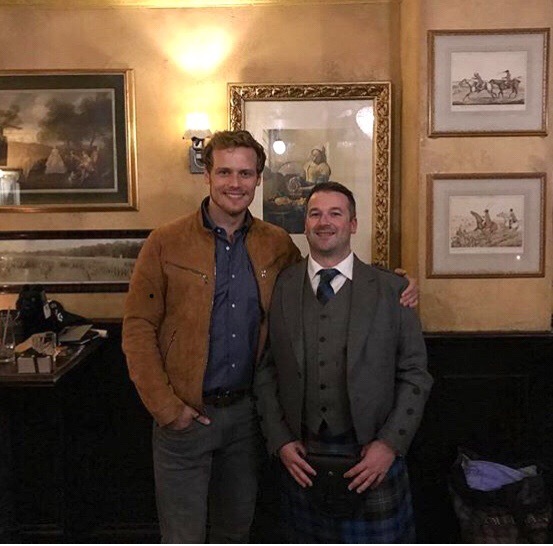 Because I suffer from Outlander Withdrawal, and have been striking up conversations with random people with accents, I ask him where he is from. 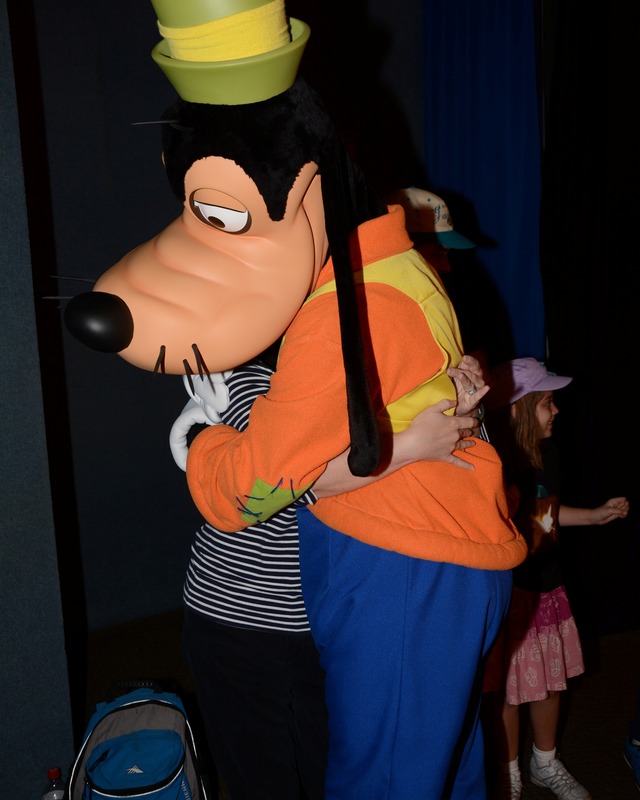 He and his wife are from England and are on holiday ending with a trip to Walt Disney World. 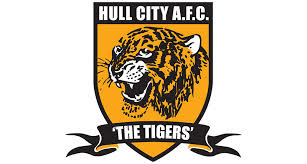 Now I am familiar with the Hull City, Arsenal, Manchester United, and Fulham teams. The owner of the Jacksonville Jaguars, Shad Khan, is the owner of Fulham FC. Jacksonville also has a new soccer team, Jacksonville Armada FC. The team’s web site, www.armadafc.com, refers to the game they are playing as “soccer”, so I will do so as well. 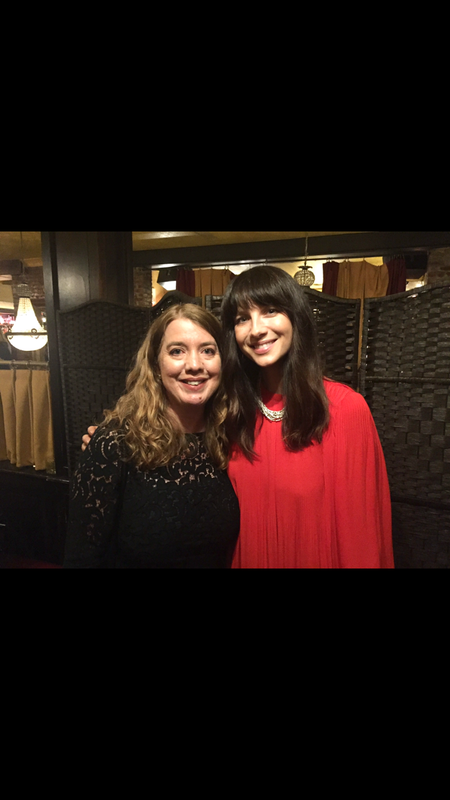 I am thrilled that I am learning so much as a result of watching Outlander and starting a blog. I discovered Jacksonville has a rugby team, the Axemen. 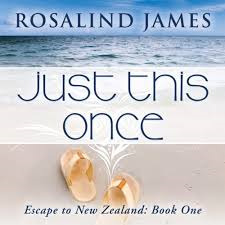 The only things I know about Rugby, I learned from reading the Escape to New Zealand book series by Rosalind James. I would recommend reading the series, it felt like I was actually in New Zealand while reading her books. My travel wish list now includes trips to Scotland and New Zealand. I still have questions. My son is playing flag football during the winter. It is non-tackle American football. Players wear a belt with flags. The defensive team removes the flags of the ball carrier. I’m not sure what you would call that in the UK. 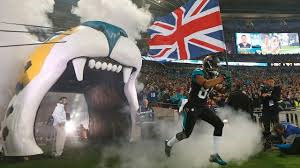 I also wonder what people think when the Jacksonville Jaguars play in London. We have 14 weeks until April 4th. 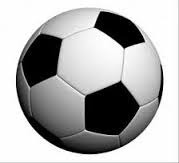 I realized that the deadline for registration for Jacksonville Football Club for the recreational and developmental leagues is January 31, 2015 for spring. Football and soccer games and practices should help to take my mind off of my Outlander Withdrawal. Thanks so much for reading! Please let me know if you have any answers to my questions. Merry Christmas dear readers! 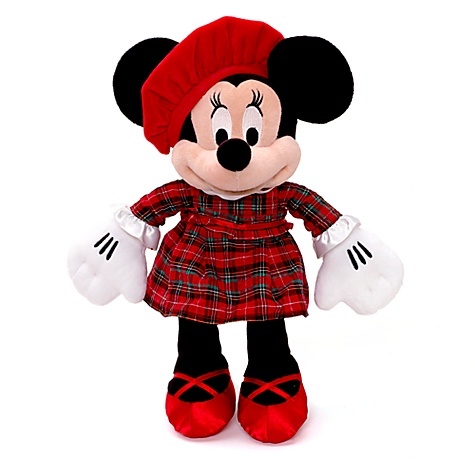 You already know I am a fanatic about Outlander, but I am also a Disney fanatic. A Christmas tradition for my family is to go to Mickey’s Very Merry Christmas Party in the Magic Kingdom at Walt Disney World. We haven’t missed a year in twelve years. Living in Florida makes it an easy trip. We stay in one of the resorts on property, and spend two nights. The event is a hard ticket event, meaning you pay extra for admission to the party. 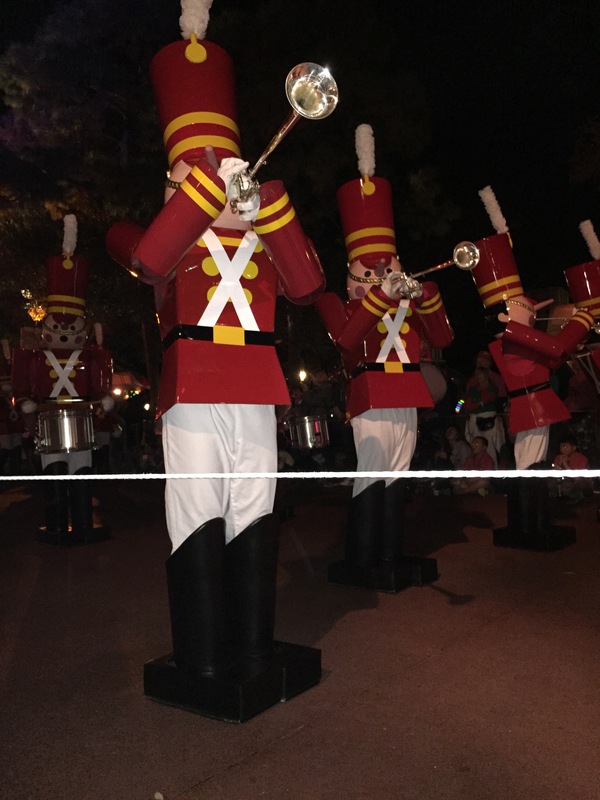 We have learned over the years that although the party officially starts at 7:00 p.m., they will let you into the park with your ticket at 4:00 p.m. The party ends at midnight so if you go in at 4:00, you still have eight hours in the Magic Kingdom. We think of the party ticket as a “park ticket” for the day of the party. 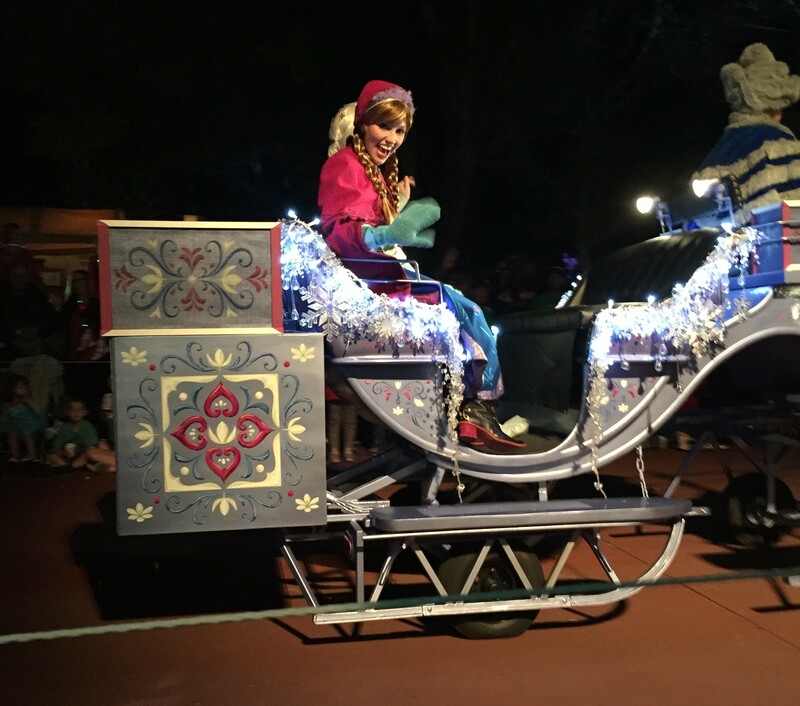 My favorite part of the night is Mickey’s Once Upon A Christmastime Parade. 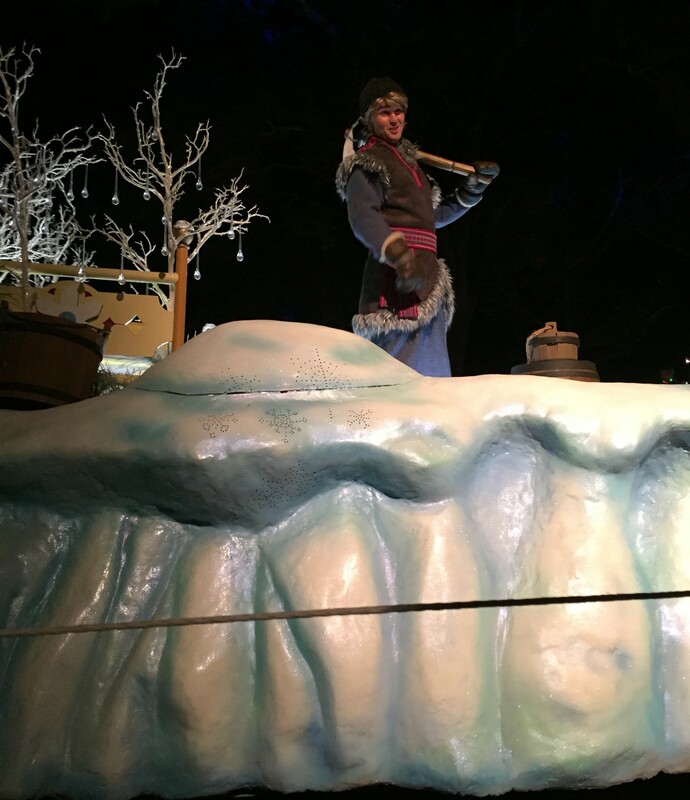 Characters from the movie Frozen made an appearance this year. 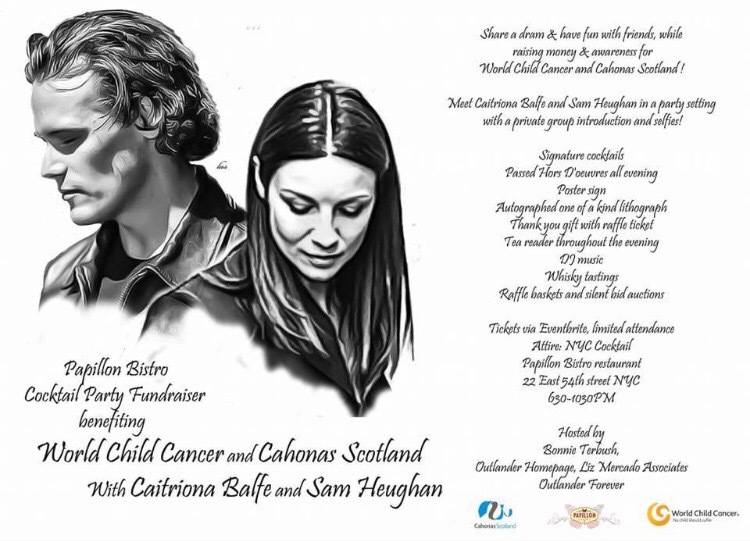 There are still tickets for the party available for the 18th of December. For our second day at Walt Disney World, we pick another park to enjoy. This year, when my husband asked the kids what park they wanted to visit, they said, “I don’t know.” I responded, “I want to go to Epcot.” This Disney Park features a World Showcase which houses pavilions from 11 different countries; the United Kingdom is one destination. I have never been to the United Kingdom, but while I wish for an adventure across the pond, I happily took in my experience at the World Showcase. We didn’t eat in the UK pavilion this trip, but I have visited the Rose and Crown Pub and Dining Room, and listened to the Pub musician on previous visits. There is also the Yorkshire County Fish Shop available as a more casual option. “British Revolution” was performing while we shopped. 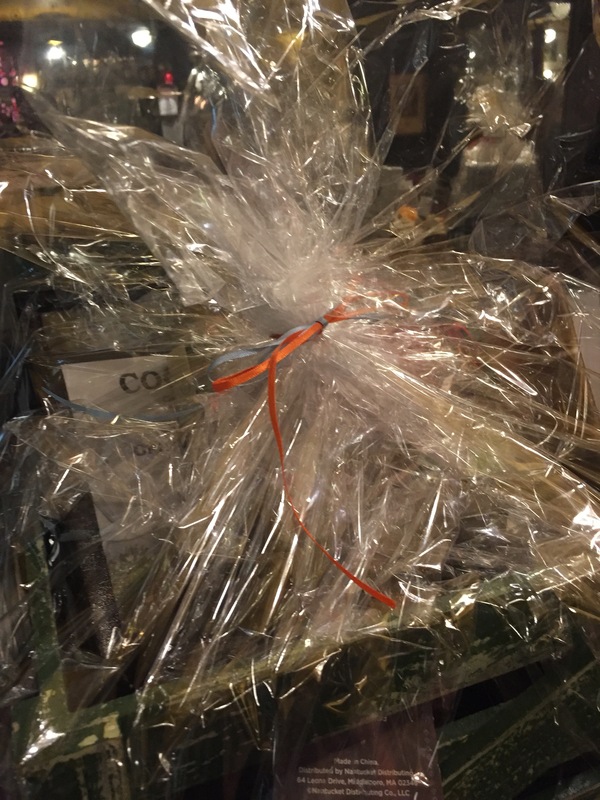 At the “Crown and Crest” shop, they will frame your family’s crest and history. My husband purchased one for his Dad several years ago. 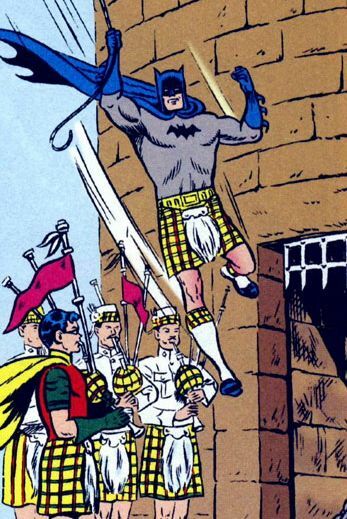 In the past, I have also seen Scottish tartans and ties. I didn’t see any this time, but I spotted shirts, beer steins, and mugs. M: I’ve never seen anybody playing bagpipes at the World Showcase. Me: They used to stand in between the Canada Pavilion and the UK Pavilion. M: Did you want to come to Epcot just to see men in kilts playing bagpipes? Me: Well, that wasn’t the only reason. I asked some of the cast members if they knew of any entertainers that played bagpipes, and they didn’t know of any either. The cast members that work in the World Showcase at Epcot are from the country they represent. The very nice people I spoke with weren’t from Scotland. I enjoyed listening to some lovely English accents though. At this point, I am starting to question my sanity. 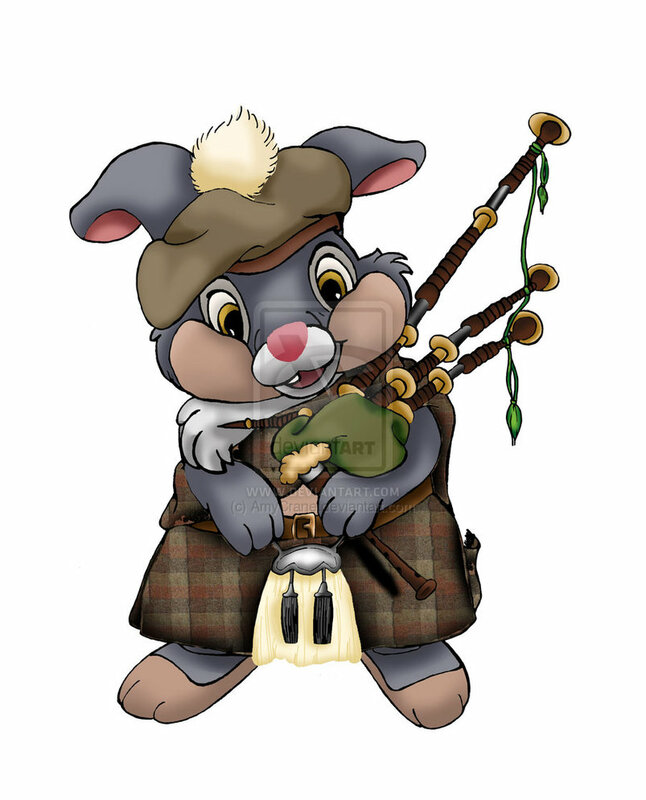 Is my Outlander Withdrawal so severe that I am imagining Scottish Highlanders playing bagpipes at Epcot? That night, I Googled “Epcot World Showcase Bagpipes”. I didn’t tell my husband “I told you so”, but there have been bagpipe players at the World Showcase from 1983-2014. 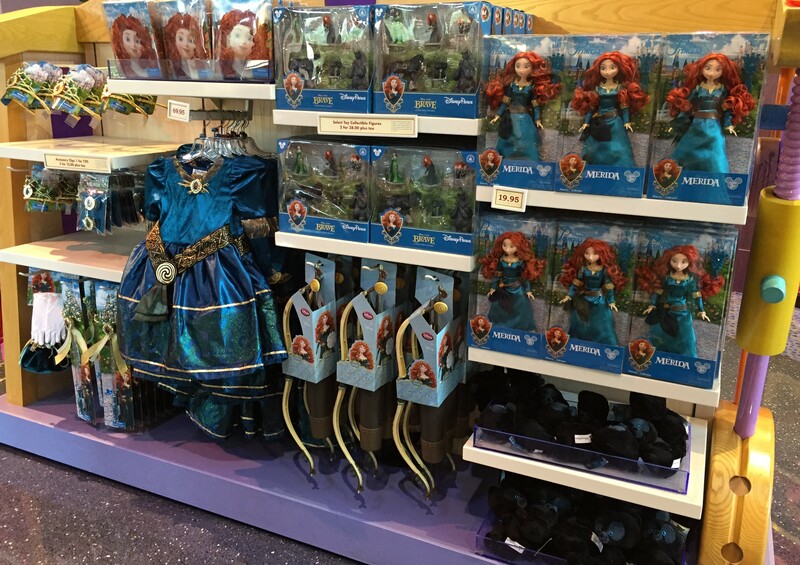 In my research, I found a fun blog, http://www.yesterland.com. Werner Weiss is the curator of Yesterland. The blog compares photos from 1983 to photos in the same pavilion in 2011. I learned so much from reading his blog. 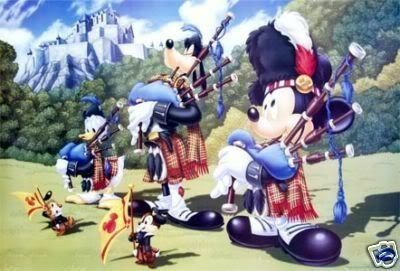 For example, in 1983, the group was called the Calendonian Bagpipe Trio. 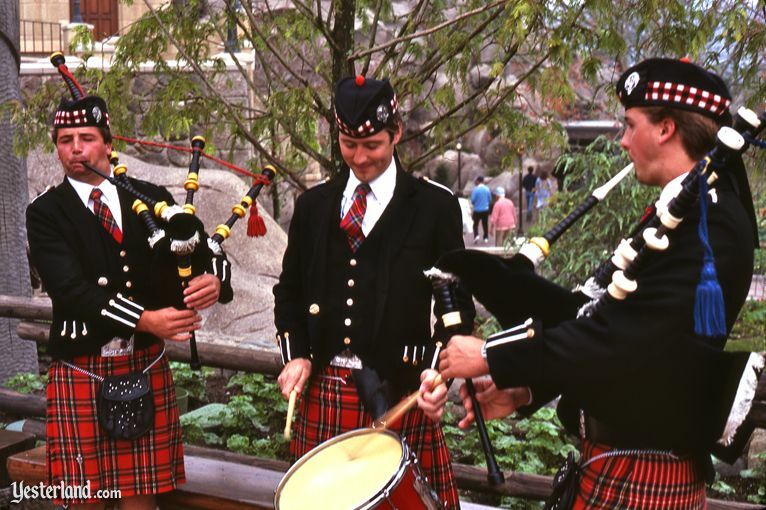 The piper and singer Jamie Holton founded Off Kilter in 1997, and has performed at the Canada pavilion since 1990. The photos below were taken by Werner Weiss, and originally appeared in his blog December 9, 2011. 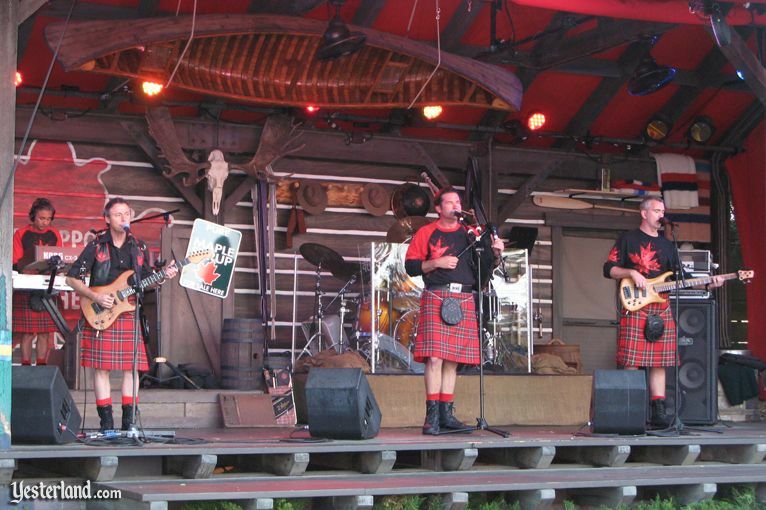 Off Kilter’s last performance at the World Showcase was September 27, 2014. I have lived in Florida since Epcot opened, and seen performances by the Calendonian Bagpipe Trio and Off Kilter. I will definitely miss hearing the bagpipes as I walk around the World Showcase. The band’s website is www.offkilter.net. I also found an Off Kilter board on Pinterest, and am actually listening to Off Kilter as I type, very motivational. 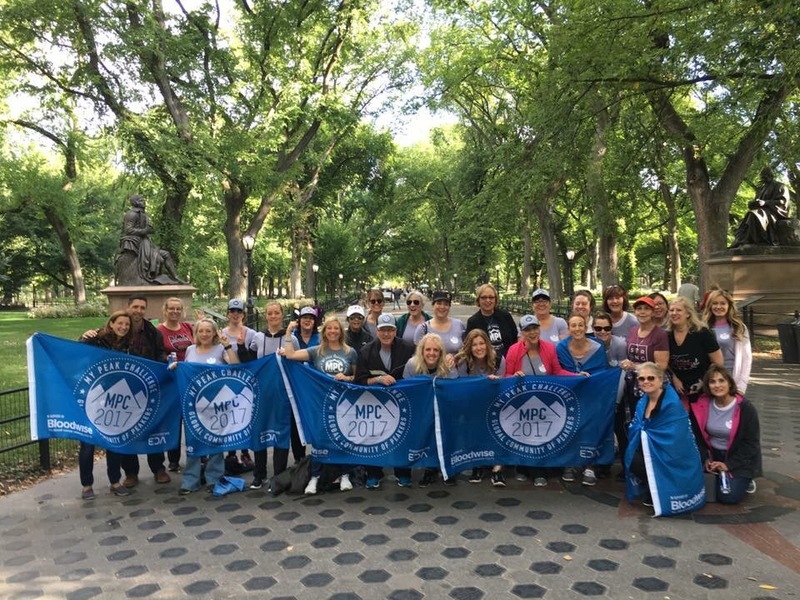 A new musical group, the Scottish Musical Trio, a Celtic musical act, will be performing at the United Kingdom pavilion in the future. I read an article in the Orlando Sentinel, http://www.orlandosentinel.com/travel/attractions/theme-park-rangers-blog/os-disney-ends-epcot-acts-off-kilter-20140828-post.html, with details. We now have 16 weeks until Outlander returns on Starz. Thank you for following this blog, and my Twitter account as I attempt to think of ways to pass the time until April 4, 2015! 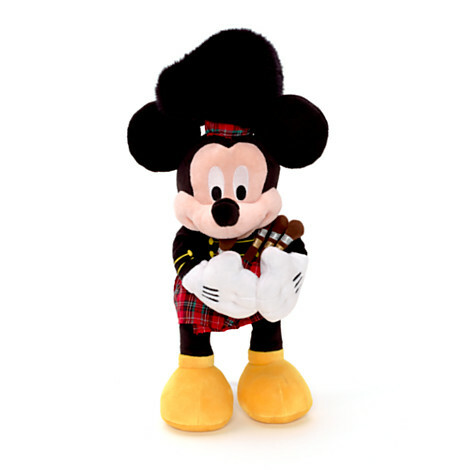 Honestly, I was hoping to see men in kilts playing bagpipes at Epcot. While I was disappointed, I did see some sights at Disney that reminded me of Scotland. I was also sucked in by Pinterest; I found the Off Kilter board which led me to these fun pictures. The above pic I found on Pinterest, and realized that it is via outlandishobservations.blogspot.com. This is Gaelic for Merry Christmas and a Happy New Year. Thanks Outlandish Observations! Thank you again for reading! I look forward to hearing from you! 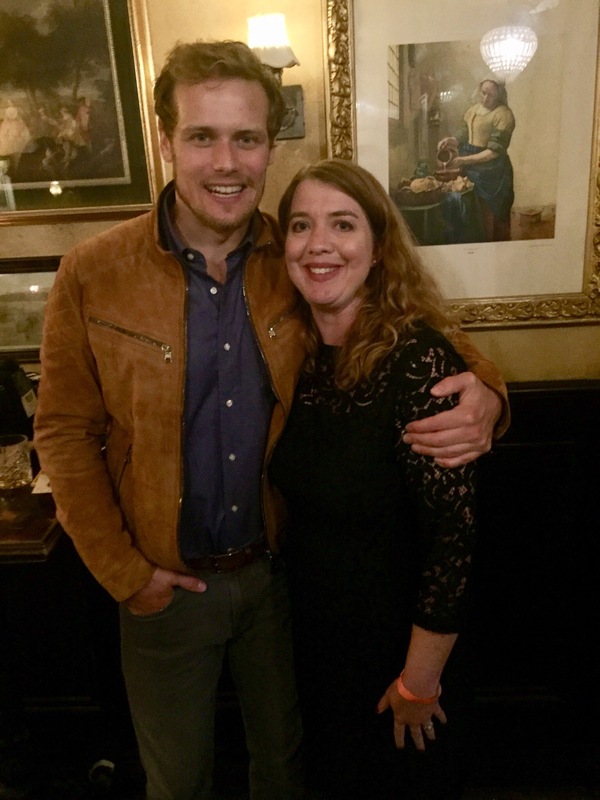 I found lots of inspiration on http://www.outlanderstore.com. I saw several items for my own Christmas List. For friends and family, I’ll start with the most obvious. 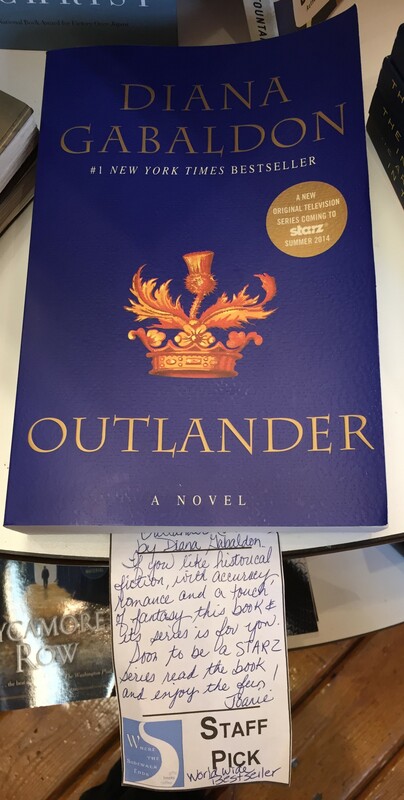 For the book lover on your list, I would most definitely recommend Diana Gabaldon’s Outlander. There are now eight books in the series. I have multiple copies of the first three books with versions on my Kindle, iBooks, and in paperback. My local bookstores are Books a Million and Barnes and Noble. Diana autographs books at her local bookstore, The Poisoned Pen, www.poisonedpen.com. Diana’s web site is a great resource if you have questions, www.dianagabaldon.com. 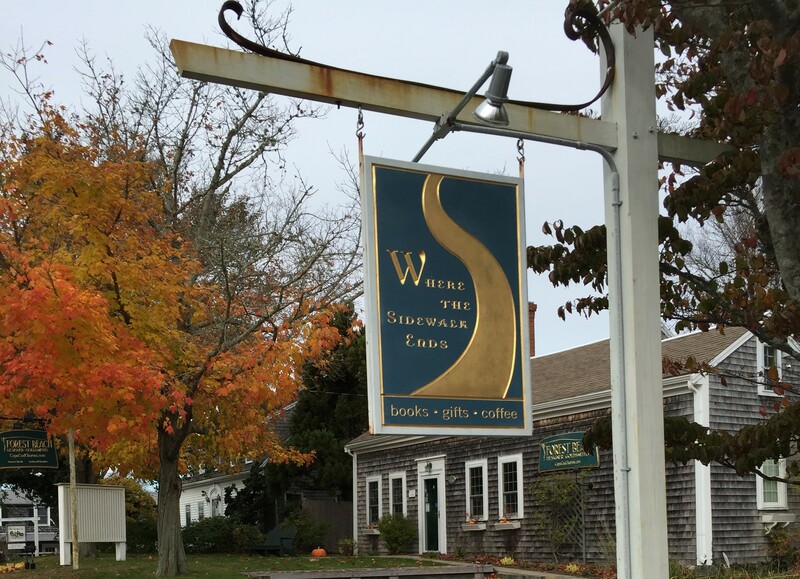 If you are in the Cape Cod area, I discovered some fantastic bookstores on Chatham Island while I was on vacation. 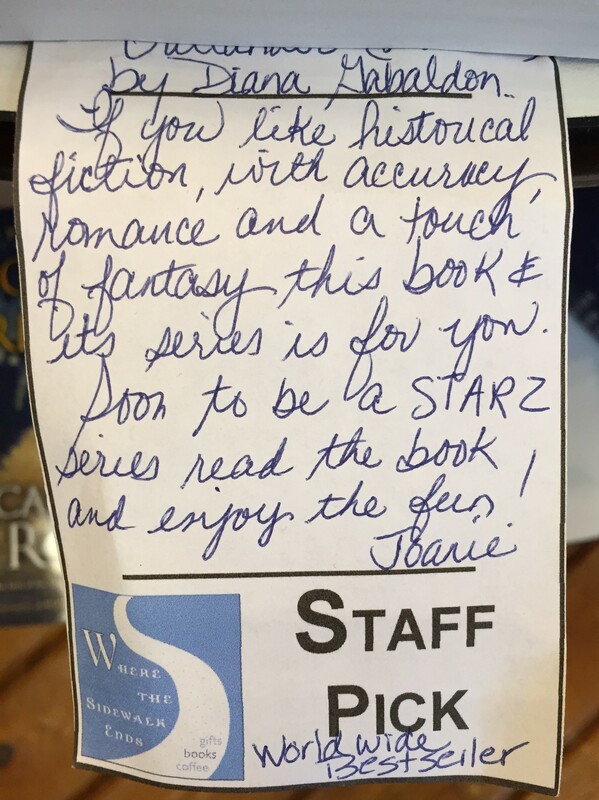 Where the Sidewalk Ends featured Outlander as a staff pick. For the music aficionados on your list, I would recommend the show’s theme song composed by Bear McCreary, “Outlander – Main Title Theme (Skye Boat Song) [feat. Raya Yarbrough]”. My other recommendation would be the album Unravelling by We Were Promised Jetpacks, FatCat Records, 2014. The group is based in Glasgow, and the alternative album is produced by Paul Savage. Both are already in my iTunes music library. 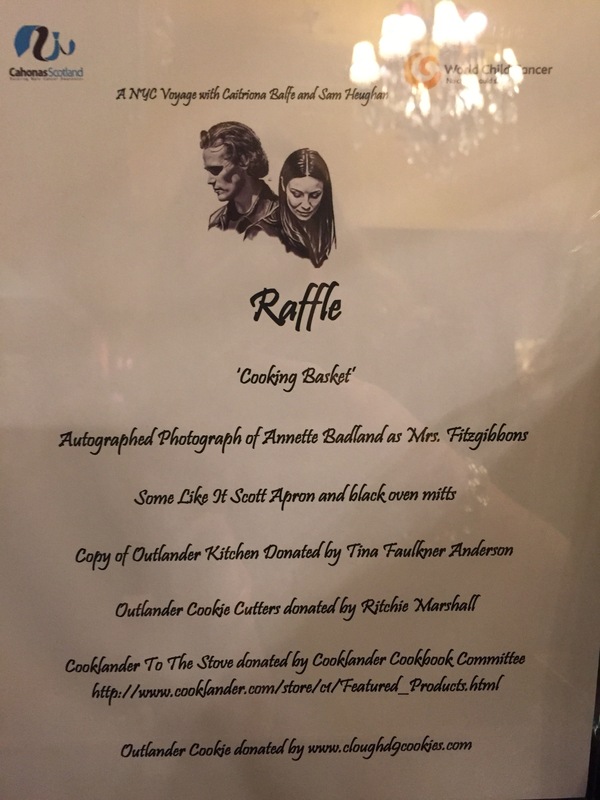 For the chef in your life, you can surprise them with A Taste of Outlander, by Theresa Carle-Sanders. 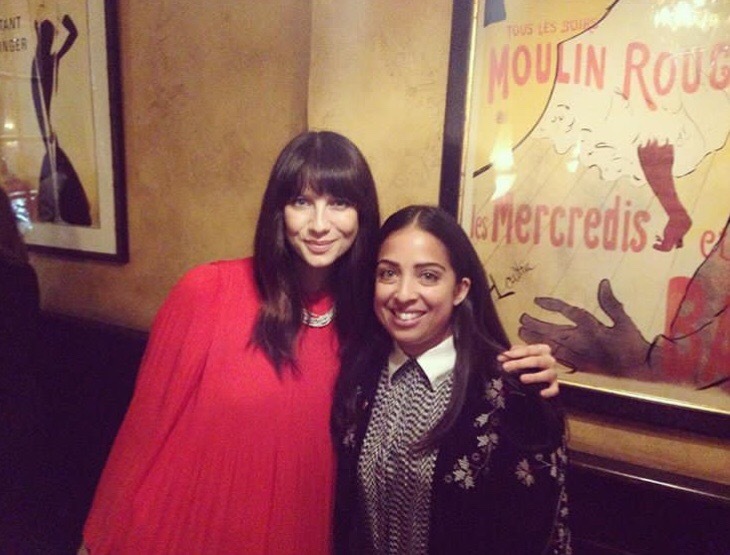 She is professional chef and a huge fan of the Outlander book series. I have made Theresa’s Shepherd’s Pie recipe, and both of my picky children gave it a two thumbs up review. 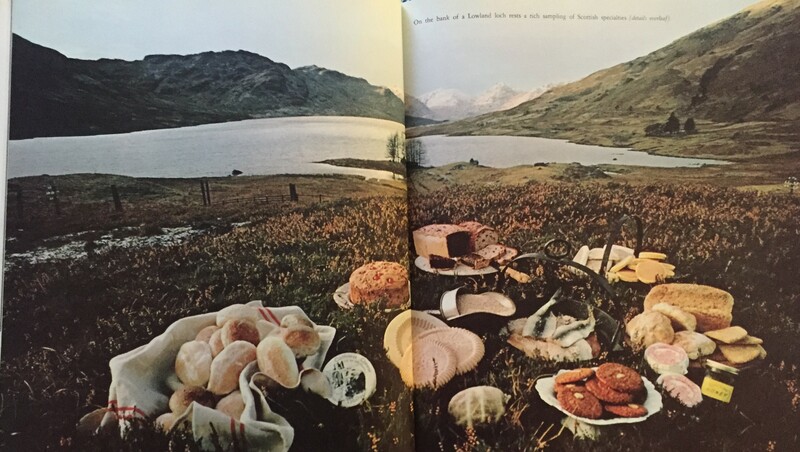 “Mom, you should make this again!” Information to purchase the cookbook is on her website, www.outlanderkitchen.com. 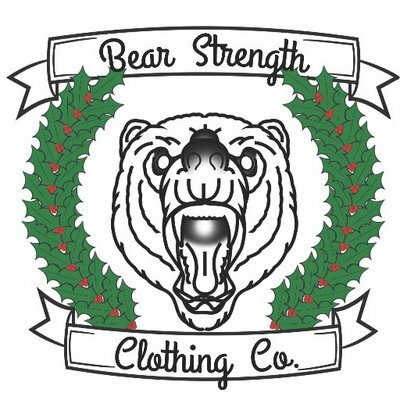 For the Exercise Enthusiast, I will direct you to Bear Strength Clothing Co. I have ordered a shirt and a vest, and they are so soft! The web site is user-friendly, and converts to US currency. 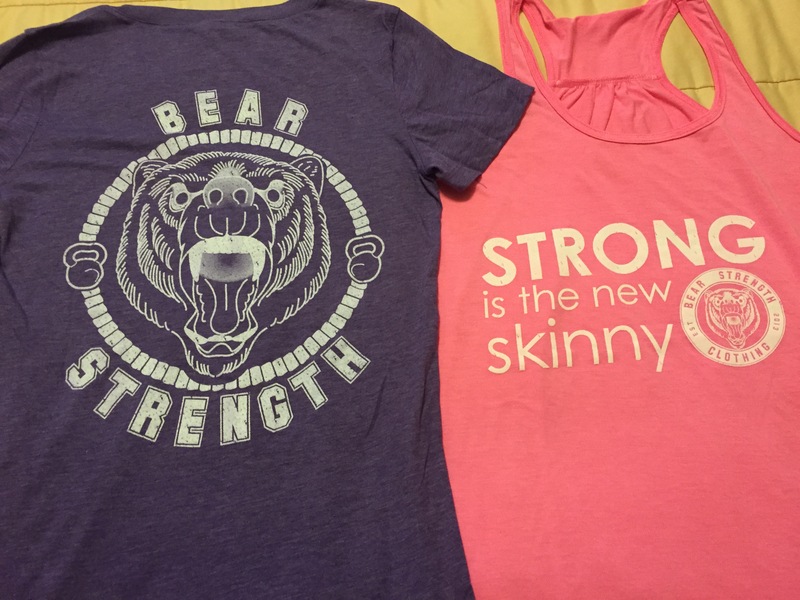 You can find them at http://www.bearstrength.co.uk, and they ship to the United States. 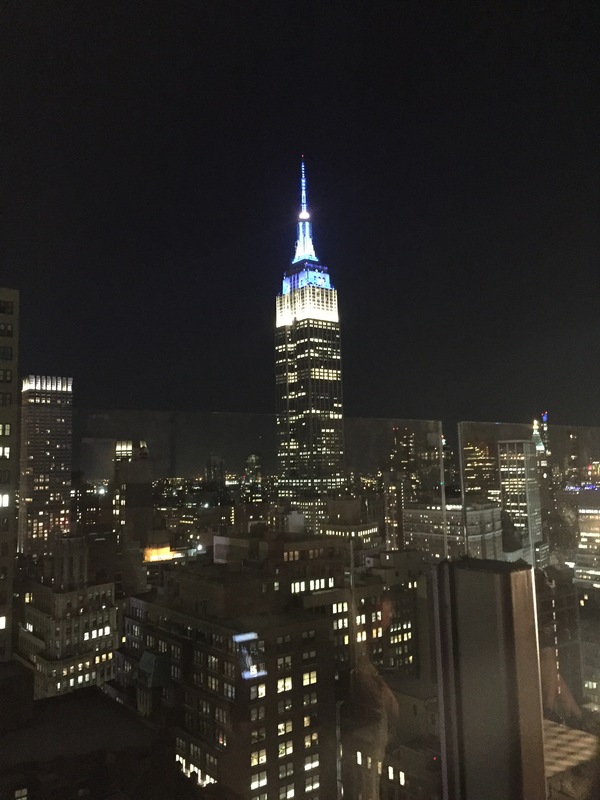 I had a wonderful experience the first time I ordered from the company. They carry men’s, women’s, and children’s apparel. I haven’t forgotten the children on your list. 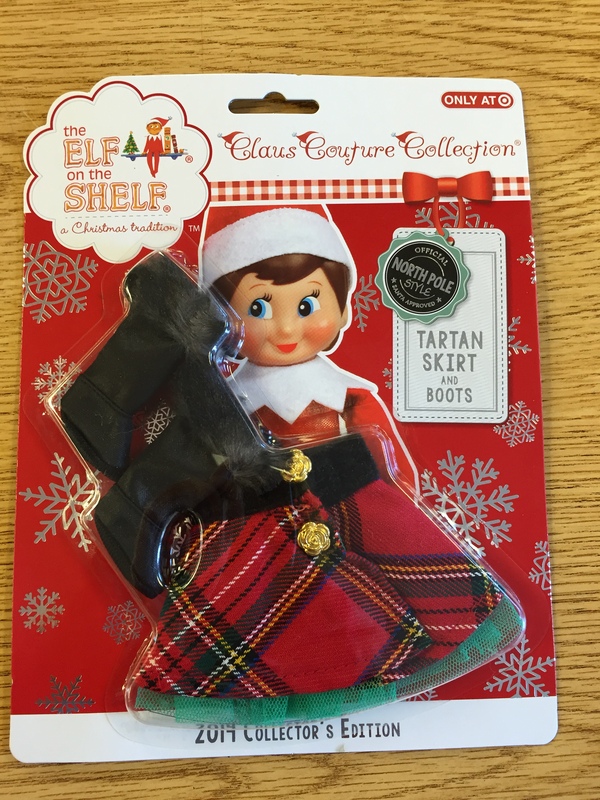 If a Scout Elf visits your house from the North Pole, Elf on the Shelf has designed a Tartan skirt and boots combination. This Claus Couture Collection piece can be found exclusively at Target. While shopping on Chatham Island, I stumbled upon the most adorable store. 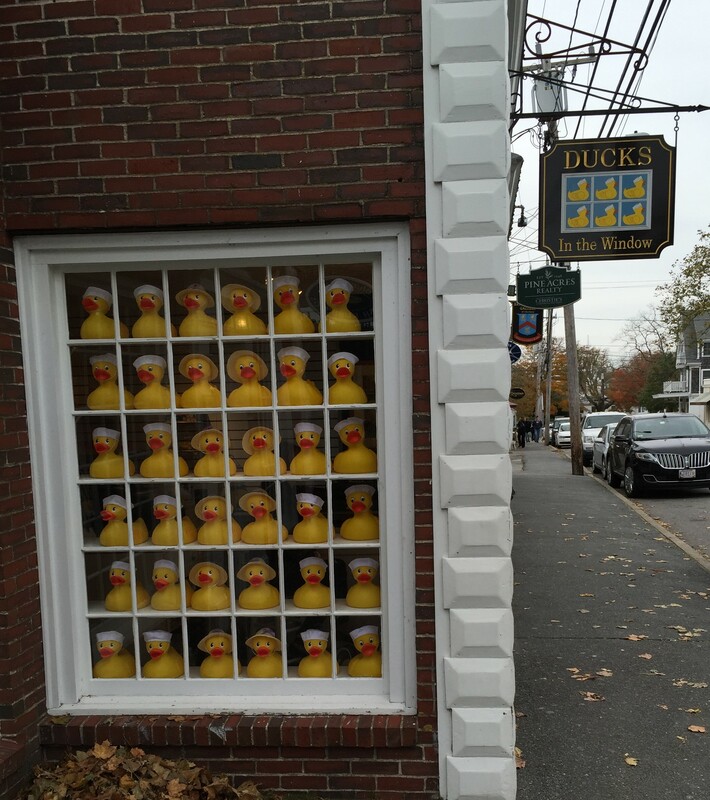 Ducks in the Window carries more rubber ducks than I have ever seen in one place. As you can see, a duck in a kilt is a must buy. It was the last one, so of course I bought him. I have also seen similar items on the Oriental Trading web site, www.orientaltrading.com. For the fashionista, it can be tricky; however, plaid seems to be a safe choice. I don’t think it is just my selective attention at work here either. 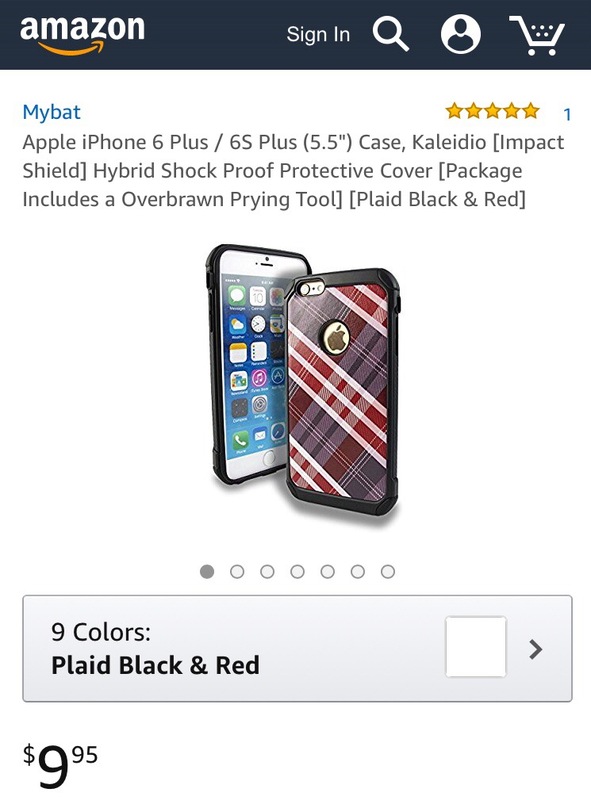 I am seeing plaid everywhere. These two items made it into my shopping cart at Target. Notice the teal and black, in honor of the Jacksonville Jaguars fans on the list. 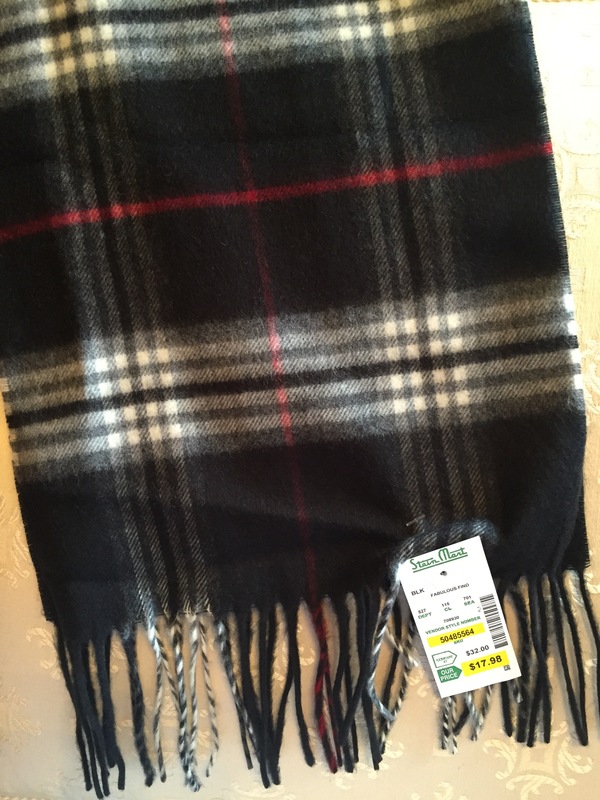 I found this Cashmink acrylic scarf at Stein Mart. If you are feeling brave, you could also visit www.auntmjcreations.com. The company makes hand-made ladies Celtic and Renaissance clothing. They are also coming out with a children’s line. I met some very nice representatives of the company at the Lannadoo Festival last weekend. My husband asked me what colors I preferred. 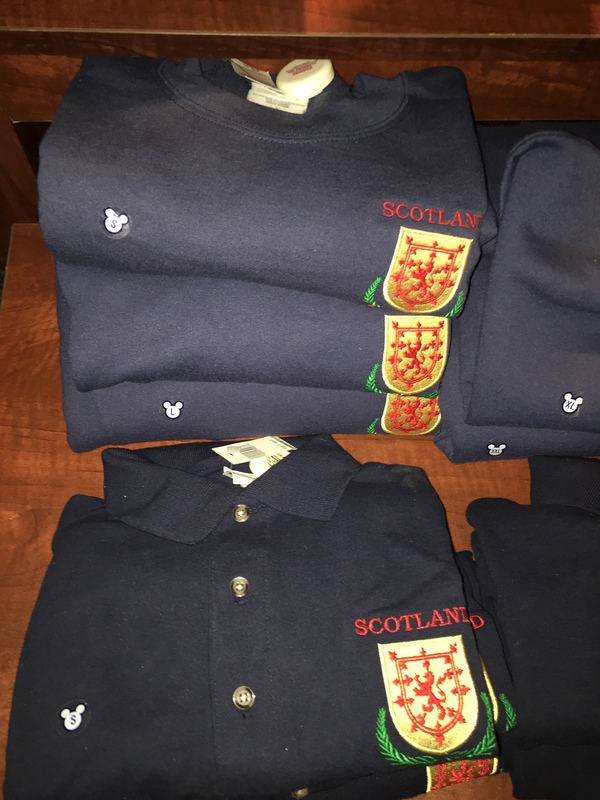 He said, “If I am wearing my kilt to the NE FL Highland Games, you should also have something appropriate to wear.” I wouldn’t be surprised to find one of their creations under my tree. For the person who has everything, you might consider a subscription to Starz. I firmly believe the show Outlander is worth the price of subscription. If you have children, our cable bundle also includes the Starz Kids&Family Channel. We all enjoy watching movies together. On a different note, look what I found while shopping at my school’s Used Book Sale. 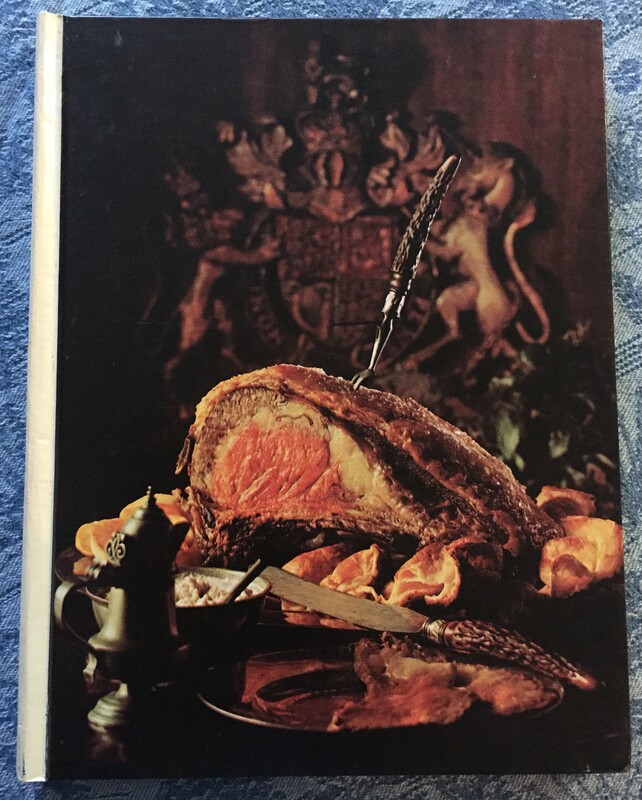 The second and third pictures are from the book, The Cooking of the British Isles. The Crofter and the Laird, by John McPhee, according to the description on the back of the book, “gives us a deep and rich portrait of the terrain, the history, the legends, and the people of this fragment of the Hebrides.” My husband will thank me for this book about his clan that I never would have found if not for my “obsession”. I’ve made shopping for me easy on my family considering I have already purchased most items on this list. 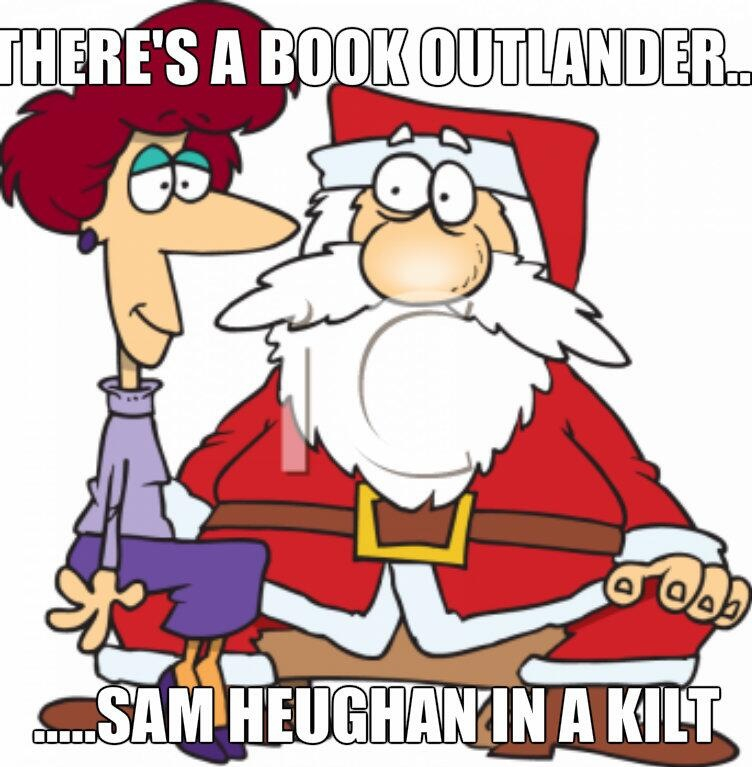 I know all of you are on Santa’s Good List, I hope you find an Outlander Christmas under the tree! Happy Shopping! 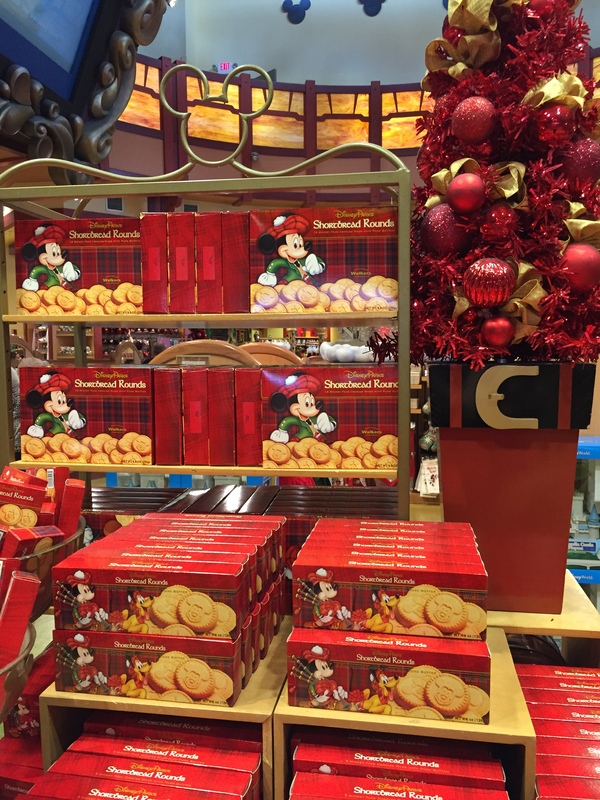 We have 17 weeks until April 4th, and 26 shopping days until Christmas. I look forward to hearing from you. Now I understand why my sister asked me if I was going to the San Diego Comic Con. I fear anything else I might say on the subject could be digging a deeper hole. 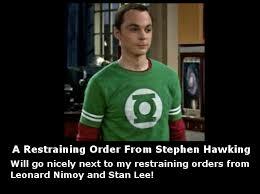 I keep thinking of the television show The Big Bang Theory, the episode where Sheldon explains his framed restraining orders. (You can watch The Big Bang Theory on Thursday nights at 8:00 p.m. on CBS). On the off-chance that I would actually meet anyone associated with the books or show, a restraining order would not be the memento I would want from the occasion. I’m a fan. I’m a woman. I’ll leave it at that for now. 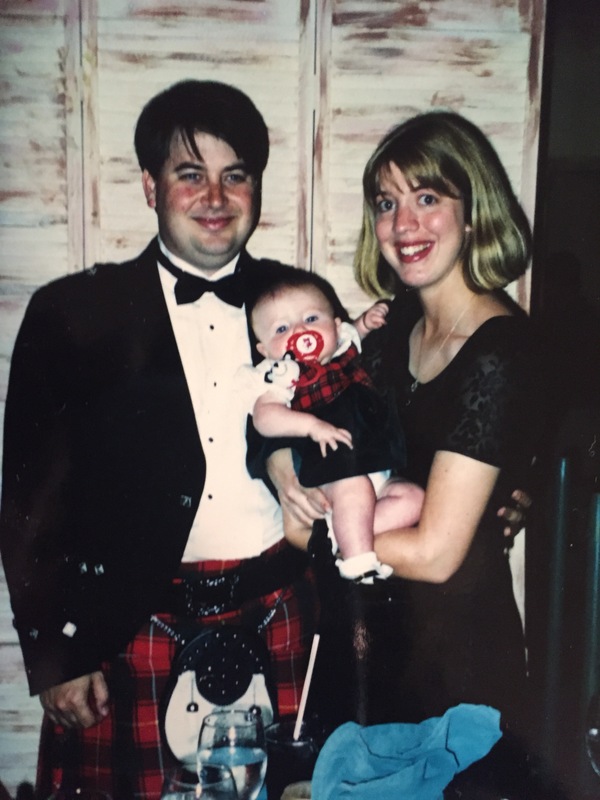 For the record, my love affair with all things plaid started early. I once had a crush on a guy in high school initially based on a pair of plaid shorts that he wore to school. Later, I met and fell in love with my husband, and now my last name starts with “Mc”. 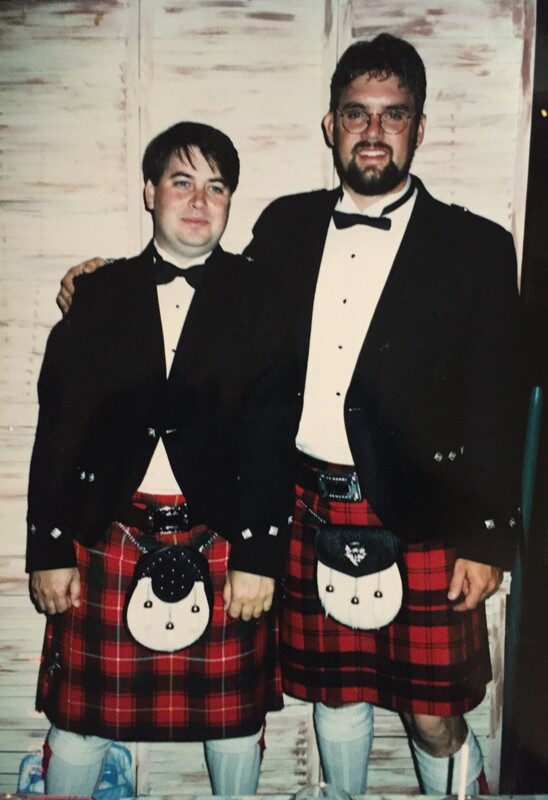 I had even agreed that my husband and his groomsmen would wear their kilts for our wedding ceremony until someone pointed out that I would no longer be the center of attention. 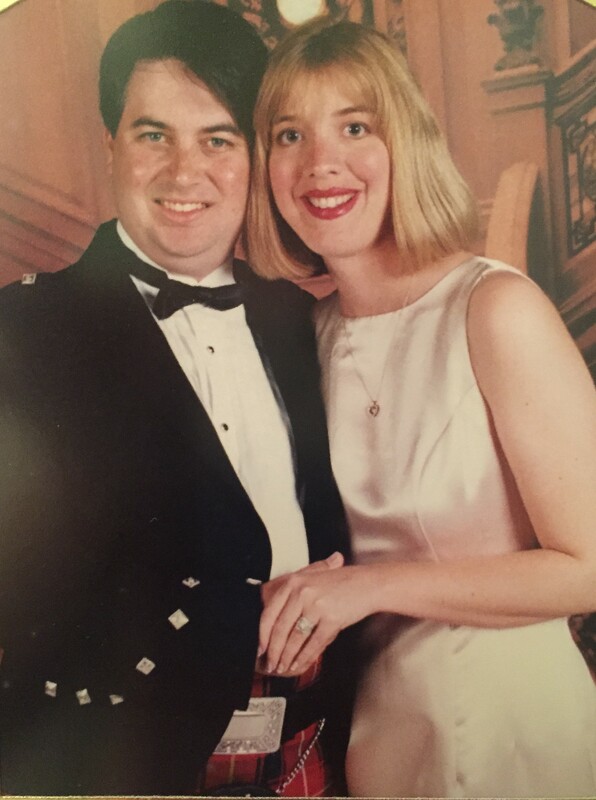 We do have some nice pictures of him in his kilt at the Rehearsal Dinner and on our Honeymoon though. You know what they say about hindsight, it is always 20/20. 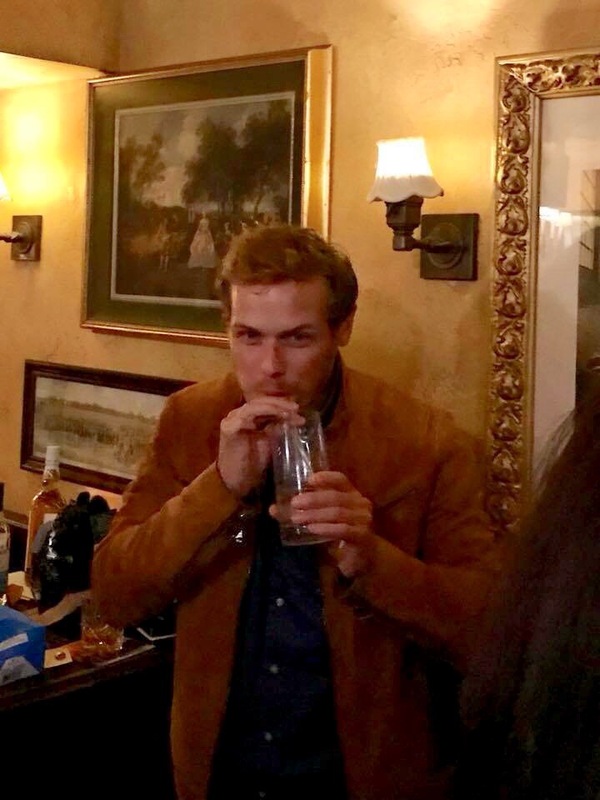 I might make a different decision now after watching “The Wedding” episode of Outlander. We have 19 more weeks until the second half of the season airs. Trying to think of ways to include my husband in this “obsession”, I thought of our trip to Tampa to order his kilt. 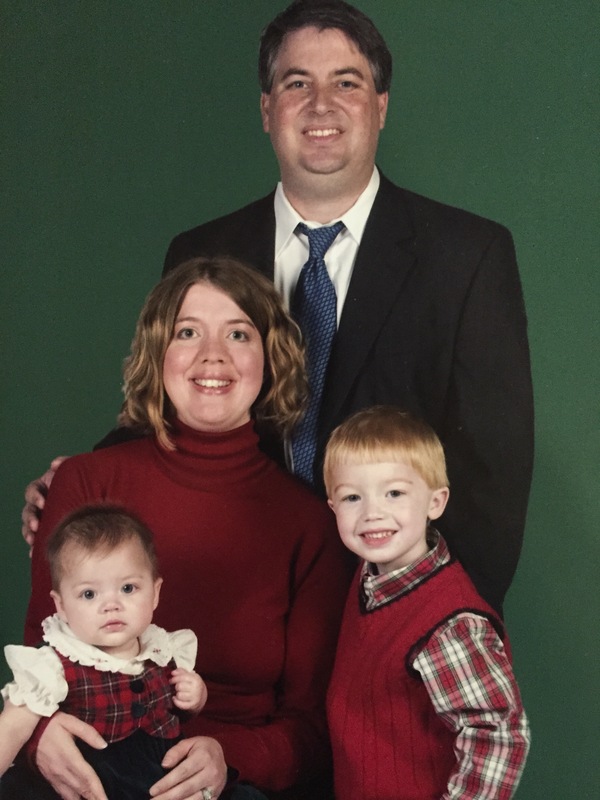 Fourteen years have passed since we got in the car for our road trip. If your husband or significant other is interested in a kilt, this might be a fun weekend getaway. The kilts are pure wool, hand-made, and were woven in Scotland. The label says Lochcarron. At the time, the company was Dunedin Highland Wear. I went online, and they have changed their name to Lothian Kilt Rentals, and are located in Dunedin, FL, www.lothiankiltrentals.com. His best friend and wife joined us for the weekend. The boys went to the store to have their measurements taken, and the girls went shopping. 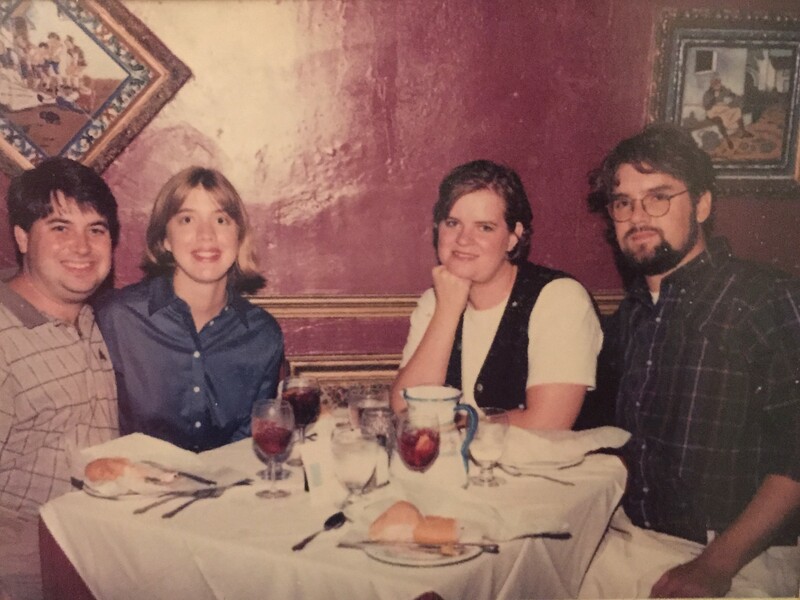 We ate dinner one night at the Columbia Restaurant in Ybor City. The Flamenco dance performance was amazing. We also have a Columbia Restaurant in St. Augustine on St. George Street. 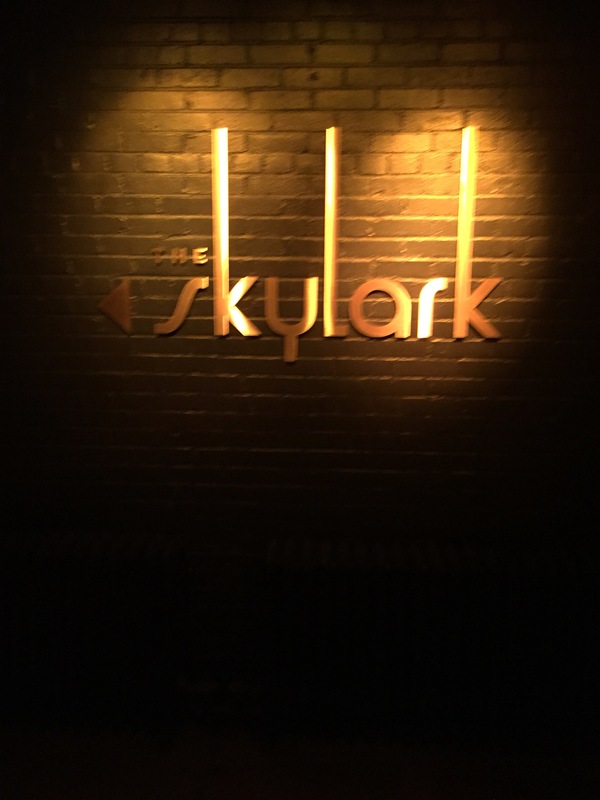 I would highly recommend either location. Closer to home, the Florida Celtic Festival is November 22 and 23rd at the Seawalk Pavilion in Jacksonville Beach. Their web site describes the event as follows. The 2014 Lannadoo Jacksonville Celtic Fest is a free, one-of-a-kind, weekend-long Celtic heritage festival held on November 22 & 23. 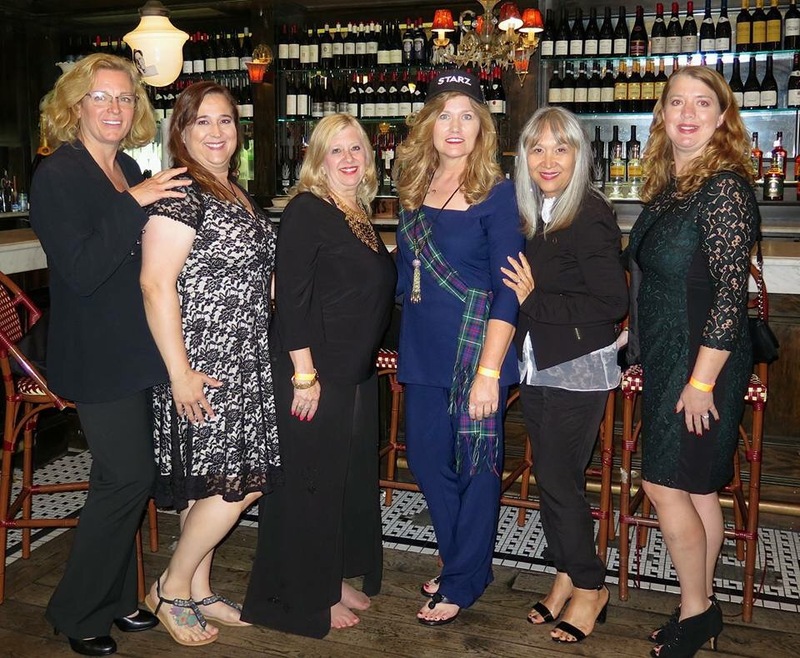 The festival will showcase the best of the Celtic nations in a unique celebration of culture, music and heritage, all taking place in Jacksonville Beach! Go to www.lannadoo.com for more information or on Twitter @lannadoo. There is a Kids Zone with fun activities for kids of all ages. I am going to take a break from reading Outlander this week. I want to read Gone Girl before the next book club meeting. I look forward to hearing from you!